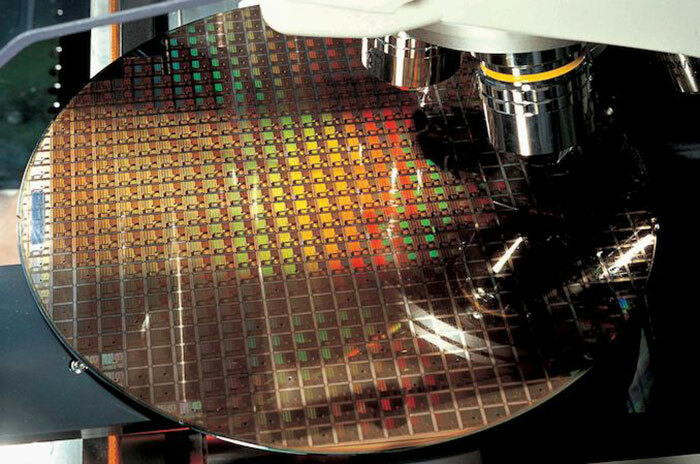 Industry sources talking to Taiwan's DigiTimes indicate that TSMC will begin 7nm EUV volume production in March. This is an enhanced 7nm node, and you will all remember that TSMC started 7nm commercial production (using immersion lithography) back in April last year, pumping out Apple A12 SoCs. Interestingly, TSMC has secured the lion's share of ASML EUV system output for 2019. Industry sources say that the Taiwanese contract chip manufacturer has reserved 18 ASML EUV machines - and only 30 of these machines will be shipped in total in 2019 by the Dutch lithography systems maker. In other TSMC news, the chip manufacturer is said to be on track with a newer 5nm node, aiming for risk production in Q2 2019. Again, EUV technology will be used in this node. DigiTimes reports that TSMC CEO CC Wei previously disclosed that taping out of 5nm chip designs will occur later in H1 2019, and the node would move to volume production in H1 2020. Currently AMD, Apple, HiSilicon and Xilinx are reportedly among TSMC's major 7nm chip customers. How this customer mix will change with an enhanced 7nm EUV process online remains to be seen. In total, after the rollout of its EUV-based 7nm process, TSMC's 7nm chip shipments will account for a quarter of all wafer sales in 2019. This figure compares against just 9 per cent for TSMC 7nm output in 2018. On the topic of 7nm EUV, we reported that Samsung started its 7nm LPP wafer production back in October last year, but Intel's plans for 7nm EUV remain nebulous. Holy moly TSMC are on a roll, if everything pans out. Wohwohwoh hold your horses, pump the brakes and pull out all the stops here. 7nm EUV in March, I thought they weren't even looking at volume till 2020, this is very out of the blue? Correct me if i'm wrong but Samsung were going to leapfrog TSMC on 7nm EUV and that's why Nvidia are jumping from TSMC to Samsung…?